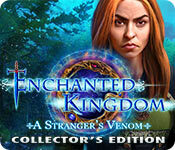 Enchanted Kingdom: A Stranger's Venom Collector's Edition is rated 3.7 out of 5 by 20. 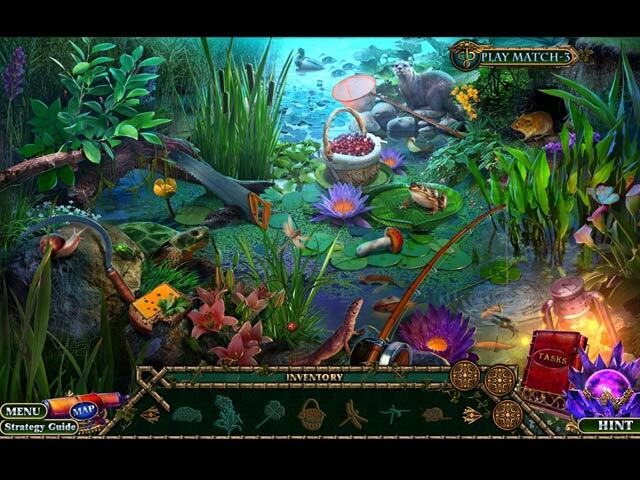 Rated 5 out of 5 by Marja67 from We love these games. How we love these games. We break into houses, we cut up pictures to see what is behind them, we snoop through cupboards and drawers, we rob and steal, sometimes eat. Anyway, I really like this one. Good graphics and story. Goes for a long time. Rated 5 out of 5 by MsReddFox from Great Game! I have the game before this one, Enchanted Kingdom: A Dark Seed, and I enjoy this one just as much. I prefer games of fantasy more than modern time games, although I have both types. This game is bright and colorful and I like every thing about it. Others have commented about the bells and whistles, so I won't go there, except to say the graphics are wonderful and I like that there are many different characters in it. It was a definite buy for me. I look forward to more Enchanted Kingdom games. Great pick, BF! 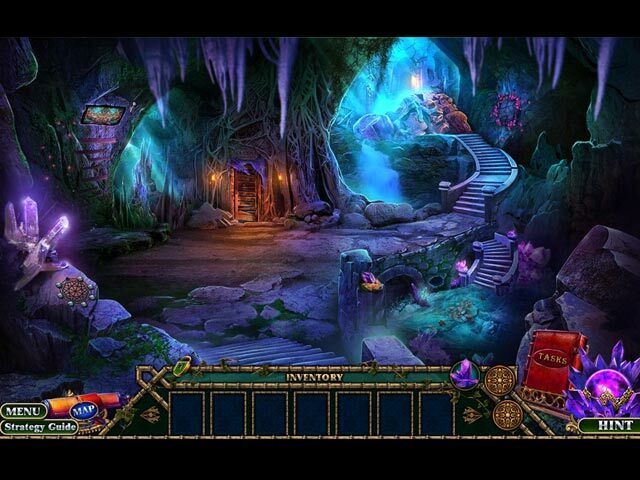 Rated 5 out of 5 by biscuitsmama from IF YOU DON’T WANT TO BE CRYSTALLIZED YOU HAD BETTER STAY AWAY FROM AMBER In A Stranger’s Venom, the second game in the Enchanted Kingdom series you again play the game as the “Honored Healer.” In the game’s lead-in cutscene a beautiful young dancer, Clarissa Stark, is accused of using dark magic and then being thrown out of the Imperium Dance Theater by its manager Domenico. Fast forward twenty years, and as a reward for your valued service Dr. Klein has invited you to attend the dress rehearsal for tomorrow’s performance at the dance theater. Of course when you arrive at the theater things are not going well for Domenico and you must quickly jump into action to save him and to ward off the attack by the very angry young woman who attacked him. Why did Amber attack Domenico and where did she go? As you play the game you will discover the answer to those questions. 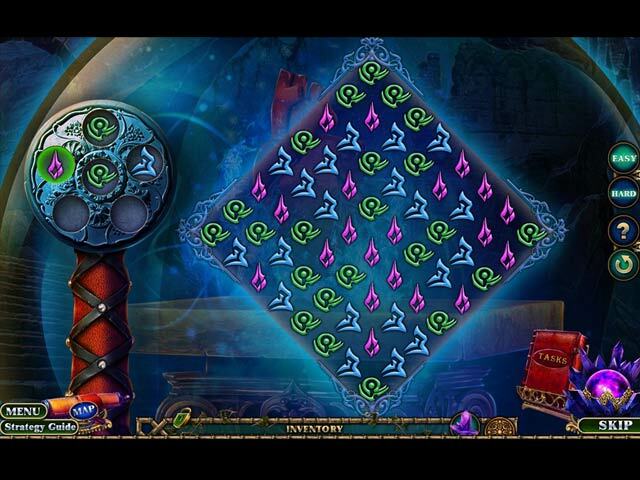 The game has the clear and colorful graphics that are signature to this developer who uses beautiful hand-dawn artwork. Your tools include an interactive map, and a task book that also includes notes. As in the first Enchanted Kingdom game, your special tool is the Healer’s Box that will allow you to diagnose and treat specific ailments The HOPS are mostly the list type with some minimal interaction required. There are other scenes as well such as the storybook and silhouetted items types. I prefer the list type but the game does have something for everyone. I happen to enjoy the HOPS mainly because the items are not so miniscule that they are difficult to find. If you would rather not find items in the HOPS you can choose instead to play an alternate Match-3 game. The game has an equal number of HOP scenes and Mini-games. There are plenty of mini-games and I like the fact that we can select either an easy or a hard setting when we solve a puzzle. Some of the mini-games are very creative and some I have seen before but they are all fun to solve. The option to choose your specific setting in a puzzle allows even those gamers who don’t care for puzzles to at least give them a try before hitting the skip button. The CE content is fairly standard but in A Stranger’s Venom we have collectible statuettes and crystals as well as morphing flowers to find in various scenes. Something I like about games from this developer is that the user interface area includes circles attached to the inventory bar that will indicate if there are certain collectibles and/or morphing objects to be found in a scene. And yes, there are those inevitable achievements to earn. I don’t know about you but aside from being obsessed with finding all the collectibles and morphing objects, I never worry about earning the achievements. Other extras include the standard fare such as Wallpapers, Artwork, Movies, Soundtracks, replay of HOPS and Puzzles, an Imperium Library, a Bonus Game, and the Strategy Guide. I love almost all games from this developer and since I enjoyed the first Enchanted Kingdom game, this one is a definite addition to my gaming collection. I know I dislike the interminable series that we get game after game BUT after trying the demo, a Stranger’s Venom appears to be even better than the first game in the series. Although there were a few things that seemed really silly when I started the game, I still enjoyed finding objects, diagnosing patients and mixing potions to be a lot of fun. All in all this is a game that I highly recommend. Even though it is a perfect game for me, please try the demo to see if Enchanted Kingdom: a Stranger’s Venom is a game you will enjoy. Rated 4 out of 5 by Majestyx12 from You don't want this kind of grudge This is the second one in the series. Your sent to the Imperial Dance Theater for the dress rehearsal by Dr. Klein. He wants you to relax and have a nice day off. But do healers ever have a day off? This has 6 Chapters + Bonus. 15 morphing flowers, 15 Statuettes and 39 crystals that you spend to furnish your medical room. Replay 17 hops and 17 mini-games. The bonus chapter has Dr. Klein's sister, niece and the Emperor son. I don't like fool with it puzzles, or cluttered hops. I liked dropping the dragon heads puzzle. Some blur inbetween scenes and loading wait. Besides that it was good. Rated 4 out of 5 by wildweasel from I Enjoyed This Game I enjoyed this game and would recommend it. It wasn't too easy and not too hard. It has all the things a Collector's Edition should have.